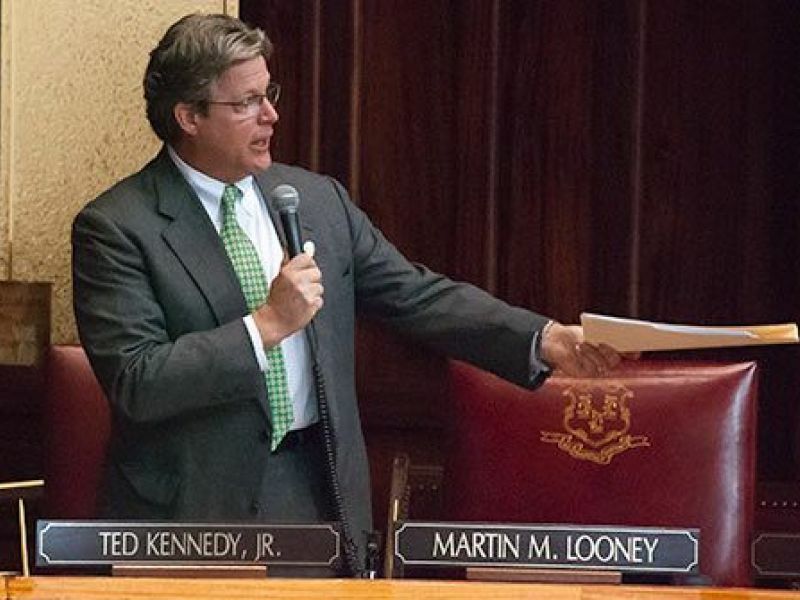 State Senator Ted Kennedy Jr. (D-12) said he will bring his experience as a health care regulatory attorney and his work as a disability and environmental advocate back to the table in a second term. Sikorsky will remain in Connecticut through at least 2032 and the state offered incentives totaling $220 million. Sen. Ted Kennedy Jr. represents the 12th District. The program aims to attract newcomers to CT’s oyster and shellfish farming industry. Sen. Ted Kennedy, Jr., of Branford, discusses a series of reforms aimed to bring down the rising costs of prescription drug prices in CT. 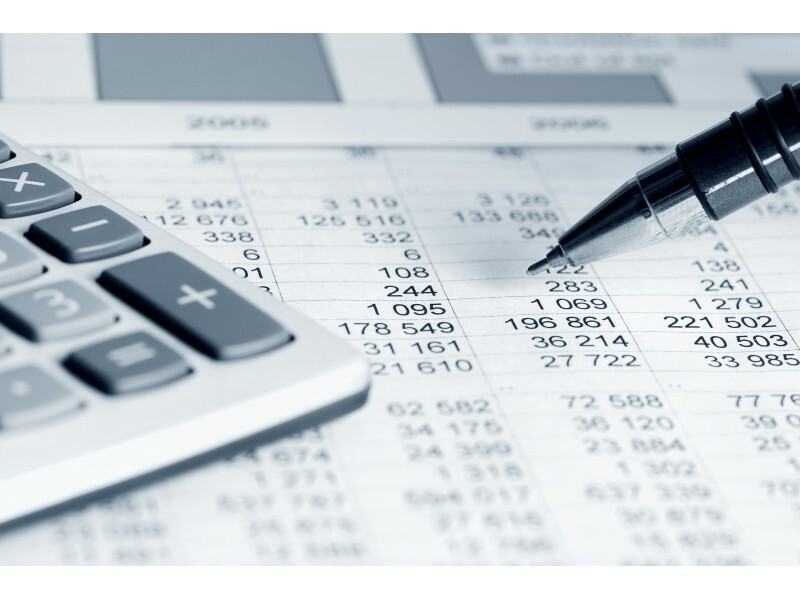 The bill requires health plans to disclose limitations on beneficiaries’ mental health and substance abuse coverage. The bill aims to reduce consumer packaging waste by at least 25 percent by 2024. Connecticut lawmakers are attempting to cut back on single-use plastic and paper bags in the coming years. HARTFORD – Legislation to provide new protections and improved habitats for bees and other pollinators in Connecticut – including planting more flowers along state highways – won Senate approval Thursday. 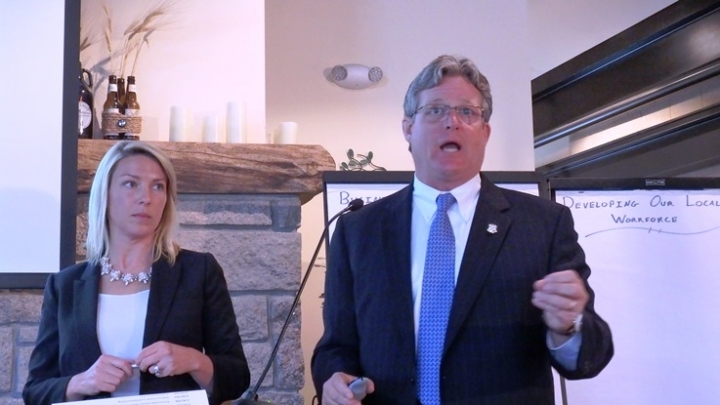 BRANFORD >> State Sen. Ted Kennedy Jr., D-Branford, announced Wednesday he will be running for re-election in the 12th District. 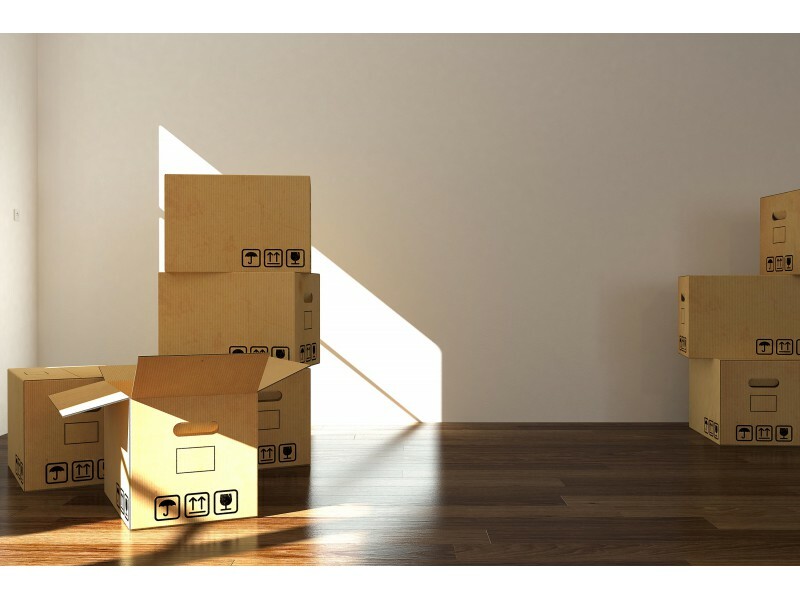 It’s been called the War on Packaging. But two new measures introduced by state Sen. Ted Kennedy Jr. are shaping up more like an aggressive diplomatic effort than a battle against the bags. Connecticut could soon join the ranks of states seeking to boost the health of bees and butterflies. 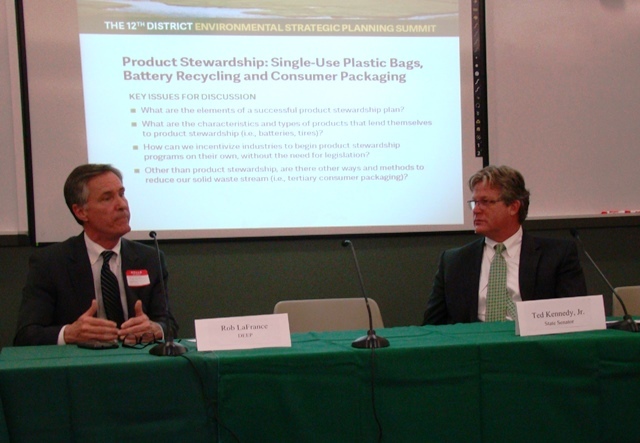 Environmental issues at the forefront in BranfordBRANFORD >> Farmers, politicians and beekeepers were on hand Thursday for the first-ever 12th District Environmental Strategic Planning Summit at the Branford Fire Department. Sen. Ted. Kennedy Jr. helped honor more than 50 Connecticut veterans who served in the armed forces, by presenting them with a state medal Nov. 24. Work is underway to increase the scope of a succesful pilot program that’s helping many seniors receive prompt approval for home health care, avoiding more costly institutional care. BLOOMFIELD – State Sen. Ted Kennedy Jr. visited Cigna headquarters Thursday to celebrate the company’s commitment to hiring people with disabilities. 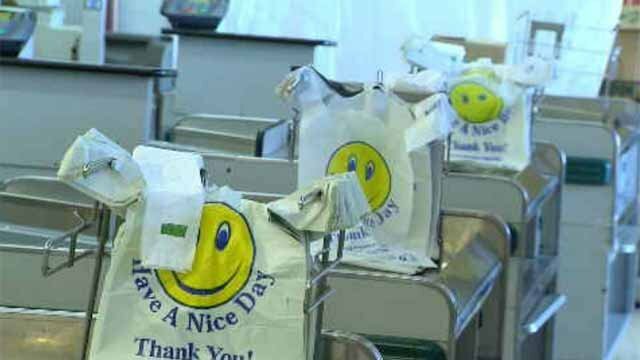 On Earth Day, Connecticut officials are pushing for an effort to ban plastic bags in the state.